You know him as Hank Kingsley from The Larry Sanders Show, bellowing his famous catchphrase, “Hey nowww!” and selling unsafe garden tools to little old ladies. You also know him as the dejected dad from The Hangover, warning his clueless son that if STDs happen in Vegas – they don’t stay in Vegas. Today, Jeffrey Tambor is at it again, entertaining audiences with what he refers to as a once-in-a-lifetime role, one that excites the acting chi of even the most polished and prolific professionals. Tambor plays the transgender patriarch – turned matriarch, in Amazon’s hit new series that has the critics buzzing – Transparent, for which he won the 2016 and 2015 Critics’ Choice Award for Best Actor in a comedy series, the 2016 SAG Award, the 2015 Golden Globe for Best Actor in a comedy series and the 2015 Emmy for Lead Actor in a comedy series. A veteran of film, television and the Broadway stage, Jeffrey Tambor is one of the most iconic and respected character actors of his generation, and after achieving life-long success by “performing his life”, Jeffrey has a lot to teach us. As a man of many talents, Tambor is highly creative, using his overwhelming love for life and the lessons learned along the way as sparks of inspiration for his seminar-like presentations. Tambor’s captivating and personal lecture style is a performance in itself as he helps audience members realize and dismiss their greatest fears and perceived limitations that hold them back in life. Happily riding the wave of popularity created by his hit new show, Transparent, Tambor uses this opportunity to spread his message even further, inspiring audiences everywhere with a program built for people who want to turbocharge their passions into action, and find the inner courage to attack what lies ahead. Most people know of Tambor’s from his unforgettable roles in the popular programs, The Larry Sanders Show and Arrested Development, as well as in the films And Justice for All and Meet Joe Black. What many people do not know is that Tambor has been a teacher for over forty years, helping all kinds of people perform their life by overcoming their fears with verve and vigor – from actors, to executives, to anyone in academia. He passionately empowers his student audiences through lessons they cannot gather from their textbooks. 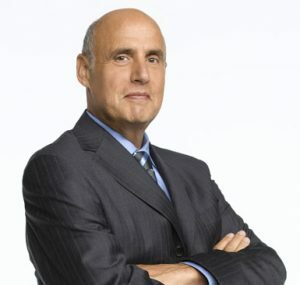 Corporate audiences will benefit from his message and experience as a coveted “working actor.” That is because, in a business with a 99.6% unemployment rate, Tambor has managed to enjoy sustained success by taking risks and positioning fear as an advantage, instead of an adversary – a technique with countless applications in business. 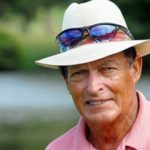 Jeffrey is able to translate these intangible, artistic concepts and techniques into solid business ideals – easily understood and embraced by his corporate audience. Tambor’s presentations are models after himself – larger than life. He brings audiences across the country a new kind of lecture, one they have never seen before. They are interactive, humorous, real, and most importantly, relatable. 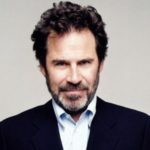 He has the ability unlike any other speaker to share anecdotes from his decades in front of the camera, inspire students and executives to find creative solutions and strategies, delve into his family’s struggle with mental health issues, and offer wisdom learned from his Jewish upbringing. 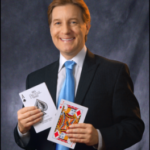 Incorporating themes of creativity, authenticity, and self-awareness into his speeches, Tambor boldly crafts customized and empowering messages for each audience he addresses. 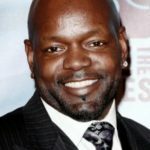 As a gifted storyteller, his honesty captivates the audience, giving them a sense of meaning in their own lives by reconnecting them with their hopes and dreams. Tambor’s presentations will no doubt inspire and forever resonate with all who have the opportunity and honor to listen to his words, making them cry with laughter and sometimes, reflection.